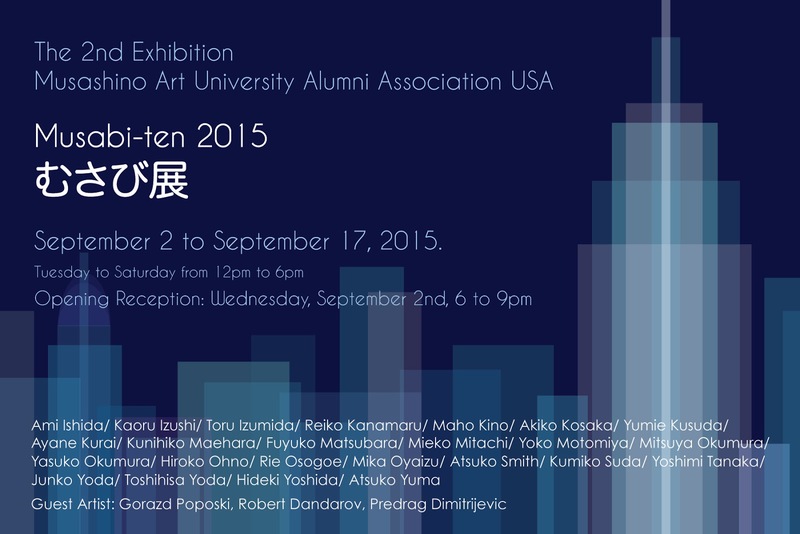 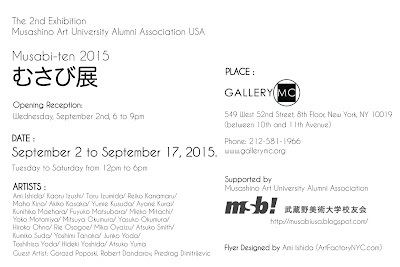 musabi usa: Musashino Art University Alumni Association USA, The 2nd group Exhibition "Musabi-ten 2015"
Musashino Art University Alumni Association USA, The 2nd group Exhibition "Musabi-ten 2015"
Group art exhibition by 30 artists graduated from Musashino Art University in Tokyo Japan, one of the most prestigious art university in Japan, currently live in across US present Paintings, Sculpture, Crafts, and Multimedia. 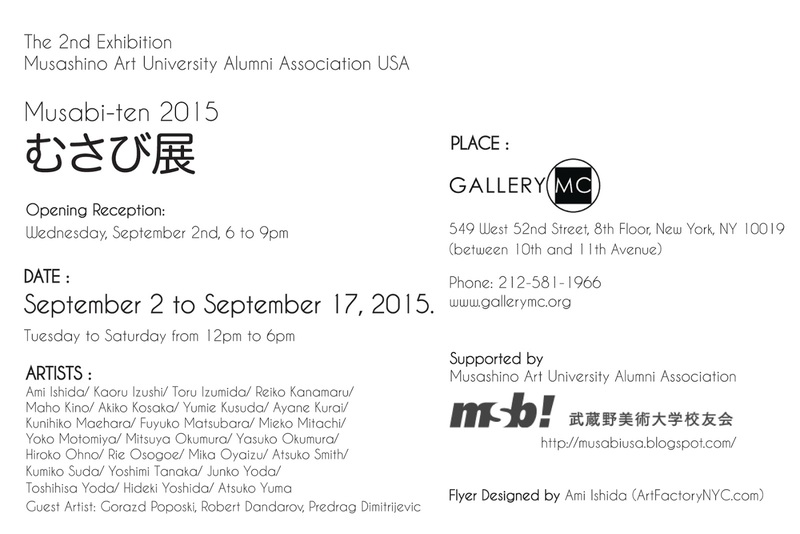 We thank for Gallery MC and Republic of Macedonia giving us this opportunity and invite guest artists from Macedonia and Serbia, and have art and culture exchange through this exhibition. 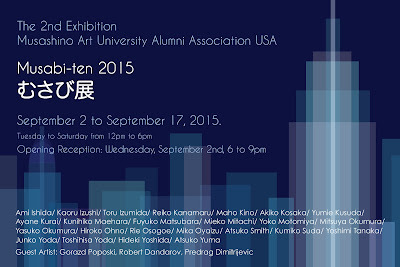 Please attend our opening reception on Wednesday, September 2nd 6-9pm, to meet with our artists and discuss about art from different cultures.